Greetings friends, fans, visitors new, and old. I am excited to announce that HYBRID FITNESS is moving. Starting today (and moving forward) you can find us at our new on-line location TRUTH NOT TRENDS. T.N.T. will be home to our brand new PODCAST on Effort-Based, evidence based A.K.A. H.I.T. exercise. Every week we’ll offer useful, and informative content to help you achieve your fitness goals in the safest most efficient, and effective manner possible. We will also be featuring awesome guest interviews as well as continue our tradition of putting out high quality blog content on all aspects of health & fitness. So come on over and see our new home on the web. While you’re there don’t forget to subscribe. New episodes available on Google Play & iTunes NOW!. And remember TELL A FRIEND!! P.S Thanks to all of my friends, new and frequent visitors, as well as valued content contributors for all of your support over the last ten years. Rest assured that T.N.T. will be a worthwhile destination in your quest for useful and informative health and fitness content on the web. Click any of the links to visit our new WEBSITE immediately!!! 1. Progression: Making the workout or exercise more challenging over time. This could be adding weight to strength exercises, or running faster or longer with cardiovascular training. Either way if you are not challenging your body no improvement will happen. 2. Overload: Is when the body is challenged through intense exercise and the muscles are worked passed their current capacities. This training “environment” is what sets the scene for improvement. 3. Recovery: After the muscles have been overloaded they need time to adapt and get stronger. This process takes between 48* – 96 hours +. 1. Train as hard as you can on each exercise to make sure overload takes place. 2. Allow the body to rest and recover. You can’t rush improvement. 3. When you return to the weight room try to add weight or repetitions to each exercise. The science of getting stronger is really easy to understand. It is the application that is challenging. There are no secret routines or special exercises, just simple things that need to be done a certain way, for an extended period of time. (*minimum recovery period for athletes with optimal recovery ability). In the area of strength training, there are as many workout routines as there are body builders, weight lifters, power athletes, and strength coaches. Every strength expert seems to possess the perfect training program for maximizing muscle development. Fortunately, several respected professional associations have come to consensus on recommended training procedures for safe, sensible, and successful strength exercise. These include the American College of Sports Medicine, the American Council on Exercise, and the YMCA of the USA. The training guidelines, which include the following, are designed for average adults who desire a higher level of strength fitness. 1. Training Exercises: Eight to twelve strength exercises that address all of the major muscle groups. 2. Training Frequency: Two to three nonconsecutive training sessions per week. 3. Training Sets: One or more sets of each exercise. 4. Training Resistance: Approximately 70 to 80 percent of maximum resistance. 5. Training Repetitions: Approximately eight to twelve controlled repetitions. 6. Training Progression: Approximately 5 percent increase resistance whenever 12 controlled repetitions are completed. 7. Training Speed: Slow to moderate movement speed–for example, two seconds lifting and four seconds lowering. 8. Training Range: Whenever possible, full range of joint movement. These basic exercise procedures have proven to be an effective and efficient means for developing muscle strength and mass. Studies with youth, adults, and seniors have shown significant increases in muscle strength (about 70 percent) and muscle mass (about 3 pounds) after eight weeks of training in the recommended manner. While these improvements continue for several months, progress comes more slowly and eventually begins to plateau. Strength plateaus are an inevitable part of the muscle-building process. At some point, the training effort that previously stimulated positive muscle adaptations is no longer productive. This does not mean that further strength development is impossible, but it does indicate a need for program changes. Most people recognize that, to overcome a strength plateau, they must train a little harder. However, many exercisers confuse working harder with working longer. That is, they increase their exercise duration rather than their exercise intensity. For example, instead of performing one set of each exercise, they jump to two or three sets of each exercise. While this certainly increases the work volume, it has little impact on the work intensity. Let’s say that John typically performs 10 leg extensions with 150 pounds, which is 75 percent of his maximum resistance. As John’s quadriceps muscles fatigue, his momentary strength decreases on a repetition-by-repetition basis. By his 10th repetition John has reduced his starting strength by 25 percent, and he can no longer lift 150 pounds. That is, when John’s quadriceps muscles fatigue below 75 percent of maximum strength, he can no longer lift 75 percent of maximum resistance. If John chooses to perform a second set of leg extensions, he will clearly perform a greater work volume. He is unlikely to achieve a greater work intensity, however, by completing additional sets of leg extensions. This is due to the fact that each set of 150-pound leg extensions fatigues the same 25 percent of John’s quadriceps muscle fibers. Because the same muscle fibers are activated in the same recruitment pattern, there is little response difference between the first and last set of a given exercise. The primary intent of high-intensity strength training is to fatigue additional muscle fibers during a more demanding exercise set. One means of achieving this objective is to reduce the exercise resistance at the point of muscle failure. For example, when John can complete no more leg extensions with 150 pounds, he may immediately reduce the resistance to 130 pounds and perform a few more repetitions. By so doing, he may fatigue more muscle fibers and provide a greater strength-building stimulus. With this technique, called breakdown training, John experiences two levels of muscle failure and fatigues 35 percent of his quadriceps muscle fibers. In a recent research study, we compared standard training with breakdown training. 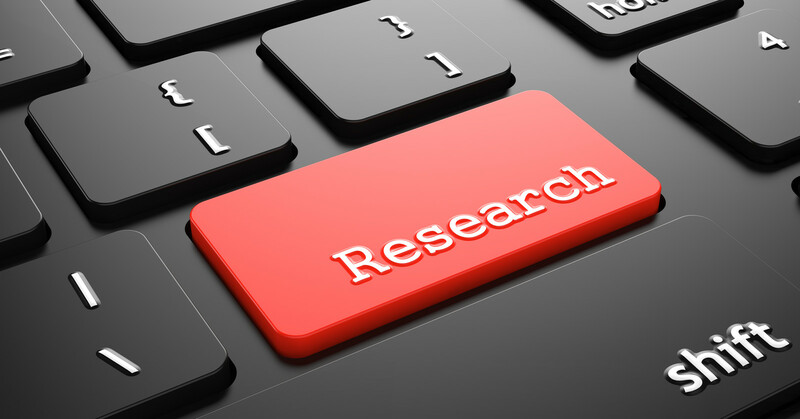 Forty-five adults (men and women between 25 and 54 years of age) and 15 seniors (men and women between 55 and 84 years of age) participated in this study. During the first four weeks all 60 subjects trained in the standard manner (one set of 8-12 repetitions per exercise). During the second four weeks half of the subjects continued to perform one set of 8-12 repetitions per exercise. The other half performed one set of 8-12 repetitions, then immediately reduced the weightload by 10 pounds and completed as many additional repetitions as possible (typically 2-4 breakdown reps with the lighter resistance). The subjects who performed breakdown training experienced significantly greater strength gains than the subjects who trained in the standard manner. The high-intensity-trained adults gained 39 percent more strength and the high-intensity-trained seniors gained 100 percent more strength. Given these findings, it would appear that breakdown training is more effective than standard training for developing muscle strength. It is assumed that the breakdown repetitions produced a greater strength-building stimulus. It is also likely, however, that the breakdown repetitions encouraged greater training effort. That is, the subjects who performed breakdown repetitions probably pushed themselves harder after realizing that the standard training set did not fully fatigue their muscles. This learning effect may explain the large difference in strength development between the two senior groups. Another means of increasing the training intensity is assisted training. Like breakdown training, the resistance is reduced at the completion of a standard exercise set to enable a few additional repetitions. Instead of changing the weightload, however, a trainer gives just enough manual assistance to complete another repetition. Because we can lower more resistance (negative muscle contraction) than we can lift (positive muscle contraction), the assistance is limited to the lifting movements. The trainee handles the full resistance on the lowering movements. Pre-exhaustion training is also designed to fatigue more muscle fibers than standard training. With this high-intensity technique, you complete two successive exercise sets for the same muscle group. The first set is typically performed with a rotary exercise that fatigues the target muscle group. The second set is conducted with a linear exercise that involves both the fatigued target muscle group and a fresh muscle group. For example, you may do a set of chest flies to pre-exhaust the pectoralis major muscles. At the point of failure, you may immediately perform a set of chest presses using both the fatigued pectoralis major muscles and the fresh triceps muscles. By incorporating different movement patterns and fresh muscles, pre-exhaustion training produces greater fatigue in the target muscle group. Other effective pre-exhaustion combinations include lateral raises followed by overhead presses for the deltoid muscles, pullovers followed by pulldowns for the latissimus dorsi muscles, arm curls followed by chin-ups for the biceps muscles, arm extensions followed by dips for the triceps muscles, and leg extensions followed by leg presses for the quadriceps muscles. Our study with adults and seniors demonstrated significantly more strength development with breakdown training than with standard training. Although not researched, experience indicates that assisted training and pre-exhaustion training are also effective means of producing more muscle fiber involvement and promoting greater strength gains. In addition to the physiological adaptations associated with high-intensity strength exercise, there would appear to be psychological changes as well. That is, people who practice high-intensity techniques are likely to train harder than those who have not exercised in this manner. *Wayne L. Westcott, Ph.D., is fitness research director at the South Shore YMCA in Quincy, MA. 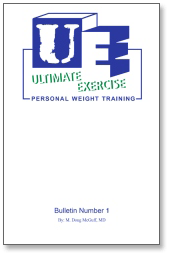 Dr. Westcott has written the Muscular Strength And Endurance chapter for the ACE Personal Trainer Manual and has authored several textbooks on strength training. TAKU’s NOTE: This week I offer yet another excellent article from my friend and mentor Dr Wayne Westcott. I am not sure how many times I need to say this stuff…Okay, maybe just one more time. Strength training programs should be comprehensive in nature with the emphasis placed on exercising the major muscle complexes throughout their fullest range of functional motion. The selected movements should include a variety of multi-joint and single-joint exercises, utilizing a good mix of machines and free weights whenever possible, and be safe and relatively easy to perform in terms of technique. Muscle overload can be applied with a variety of tools: barbells, dumbbells, machines, manually applied resistance, body weight, sand bags, etc. Anything that can create high tension in the muscles can be used. A variety of exercise prescriptions can be used provided muscle overload occurs, such as heavy resistances / few repetitions, lighter resistances / more repetitions, minimal exercise bouts (i.e., 1 to 3 sets per muscle group) and / or varied rest time between sets and exercises (i.e., 30 seconds to 3:00+). Set and repetition schemes may be varied, but the program should strive for intense efforts, accurate record keeping, a system for progressive overload and time efficiency. The short version is: 1.) Select exercise tool(s), and resistance / repetition schemes that reflect your current goals. 2.) Perform as many perfect repetitions as possible with the selected resistance. 3.) Write it all down. 4.) Next time attempt to do more than you did last time. YES!! It’s really that simple. Below you will find ten basic tips that will help you get the most out of your strength training program. 1) Train with a high level of intensity. Intensity is not yelling loud, rather it is the ability to exert maximal effort, and focus on each repetition. At times this may require the ability to train past your comfort zone. 2) Attempt to increase the resistance used or repetitions performed every workout. This is the application of the Overload Principle. The muscles must be challenged gradually and consistently in order to grow stronger. 3) Ideally, perform one set of each movement to the point of muscular exhaustion. 4) Reach concentric muscular failure within a prescribed number of time / repetitions. If you reach failure well below the recommended time / repetition range the weight is too heavy, and potentially dangerous, it should be lowered on the next workout. If you reach failure above the time / rep range the weight is too light and you should gradually increase the resistance on the next workout. The workout is only as good as each individual repetition. For maximum muscle-fiber recruitment and safety you should use a slow and controlled rep speed. We recommend a minimum 3-5-second concentric movement (raising) and 3-5-second eccentric movement (lowering). Note: Slower rep speeds are acceptable, and may be quite effective for some. 6) Strength train for no more than thirty minutes per workout. We find it counter-productive to train with high levels of intensity for over 30 minutes. 7) Strength train 2-3 times per week on non-consecutive days. To keep the body fresh and to avoid over-training you should take time to recover. As long as your strength continues to increase your rest is adequate. Should your strength plateau or slip you may need additional rest, not additional work. Counter intuitively stronger athletes require more rest than beginners. 8) Keep accurate records of performance. 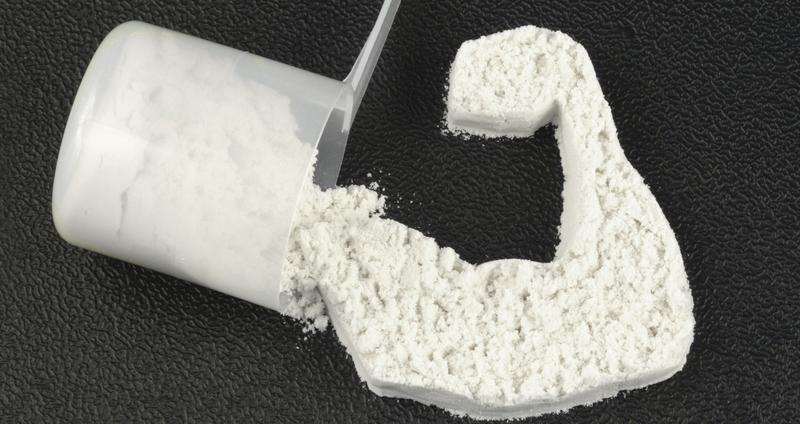 This is the only way we can determine your gains in strength. This also is how coaches can help you individualize the workout for you, as no two athletes are exactly alike. 9) Safety above all things. 10 To gain weight, consume more calories… to lose weight consume less. Obviously the calories you put into your body should be healthy ones and the calories you cut from your diet should be done gradually. If you are serious about this concept please contact me for safe tips on weight gain and loss. Rule # 1 – Raise and lower the weight through the muscles full range of motion. Rule # 2 – Eliminate momentum during the raising phase of each exercise. Rule # 3 – Pause momentarily (stop for a count of 1001) in the muscle’s contracted position and then make a smooth transition to the lowering of the weight (no sudden drop). Rule # 4 – Emphasize the lowering of the weight (take longer to lower the weight). I have mentioned all of the books on this list at one time or another, but decided they were so good that they deserved a single post where you can find them all. Just as my previous post about coaches I admire and appreciate, these books are presented in no particular order. Although this list is not a top ten, for aspiring strength coaches I would highly recommend the work of my friend Tom Kelso as an excellent starting off point. 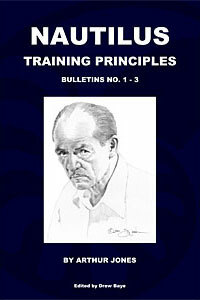 This Three-Volume set contains Nautilus Training Principles: Bulletins No. 1, 2 and 3. 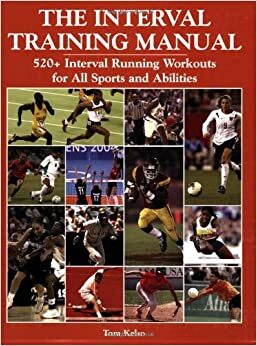 These high intensity training classics by Nautilus inventor Arthur Jones cover every aspect of training from the specifics of exercise performance to the general principles of program design. Drew Baye combined and edited these with Arthur Jones’ permission (October 11, 2006) to improve readability and created one table of contents and index for each of the three Bulletins. Whether you’re a bodybuilder, athlete, or just want to lose fat or improve your general health and fitness, the information you need is covered here. TAKU’s NOTE: I have several copies of Matt’s (3rd edition), and it is one of my favorites. I am a big fan of Matt’s work and have read everything of his I can get my hands on. He is a masterful writer with an excellent grasp on the intricate workings of Evidence based strength and conditioning protocols. The new fourth edition is not merely a slightly revised update, but a totally new book which is even more comprehensive then the last edition. Matt, you did what you set out to do. Well done. Thanks! 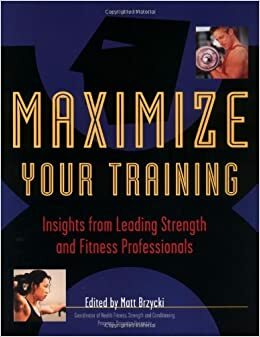 Maximize Your Training is for fitness enthusiasts who want to gain the knowledge, understanding, and insight necessary to achieve a competitive edge. This book is an important tool for anyone who takes bodybuilding, sports performance, and athletic training seriously. TAKU’s NOTE: As mentioned above, I own several books by Matt Brzycki, and they are excellent. Maximize your training should be on every Strength and Conditioning coach’s top-10 book list. 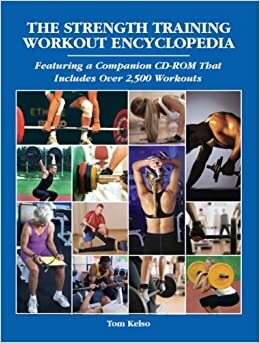 It is loaded with valuable information on evidence based exercise programs, and will assist those interested in how to design, implement, and update comprehensive strength programs for any goal. Although this book has been around for some time, I highly recommend that you get yourself a copy today. “The Path Of Most Resistance” by John Turner. Although this book is only 126 pages, like many great books it makes up in valuable information what it lacks in length. As the sub-heading says, this book is loaded with everything one might need to achieve physical superiority. There is nothing which is of no use. Mr Turner shares his unique perspectives garnered from years of personal exploration. Those who take the time to read, absorb, and most importantly apply the lessons contained within its pages, will be rewarded (perhaps for the first time) with real results for their efforts. 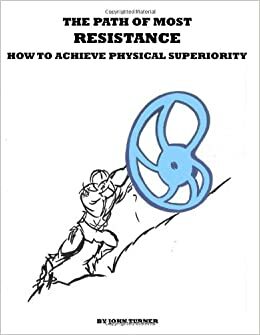 TAKU’s NOTE: I highly recommend that anyone with an interest in exercise history, Arthur Jones, Nautilus equipment, and real training information, pick up a copy of this book A.S.A.P. Read, pay attention, apply what you learn, and most importantly work hard. The results will most likely surprise you. UE-1 is Dr. Doug McGuff’s first published work on high intensity strength training. Read the groundbreaking book that introduced the concepts of the dose-response relationship of exercise, time under load, stoicism in training and other insights that forever changed the field of exercise. 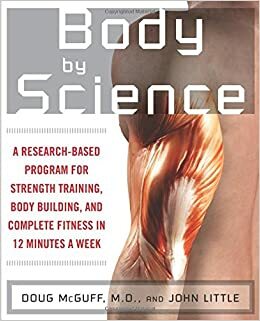 Body By Science, written by Doug Mc Guff and John Little, is one of best books I have encountered for explaining the theory and reasoning behind Brief, Intense, and Infrequent training. This book is well written, informative, and goes into detail about the science behind the author’s recommendations, as well as detailing exactly what to do and how to do it. Reduce your risk for diabetes, cancer, heart attack, and more. TAKU’s NOTE: Over the last year or two I have personally experimented with this style of training with myself, and my clients. I find it to be both extremely efficient, and highly effective. Many of my clients are experiencing excellent results in both strength and fitness, while participating in only one or two very brief workouts per week. For more information about this type of training visit the BODY BY SCIENCE home page. Three of the best books I have come across all come from the same guy. His name is Tom Kelso and he is at the top of a very short list of coaches and trainers who I have found to be the best in the business. *Design your own intervals using enclosed percent speed and recovery time charts. The Strength Training Workout Encyclopedia was inspired by the question every good coach hears thousands of times during his/her career “Can you design a workout for me?” Tom went above and beyond and created a tool for both athletes and coaches alike. There are literally thousands of workouts in almost every style you could ever need or want. 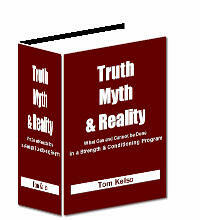 Finally there is Tom’s e-book “TRUTH MYTH & REALITY: What Can and Cannot be Done in a Strength & Conditioning Program”. This book is based on Tom’s own research and 30+ years of “down in the trenches” experience. If you are someone who not only welcomes the truth but DEMANDS it, then this e-book is definitely for you. Well, there you have it. 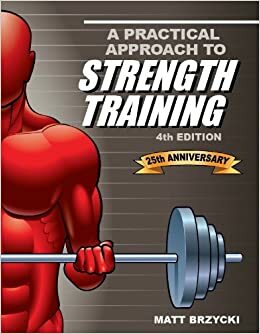 As far as I am concerned after literally reading hundreds and hundreds of books, and articles over the years these books should be on the shelf of every strength coach.